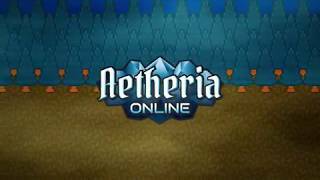 Aetheria is an MMORPG which focuses on challenging dungeons, cooperative group play, fast paced PvP, and important crafting elements. Aetheria utilizes action combat, which means no targeting and no standing still while casting, ever! This makes for an intense situation every battle, whether it be with other players or with fierce monsters. The land of Aetheria is unforgiving and harsh, so make sure to bring friends and guildmates on your journey. 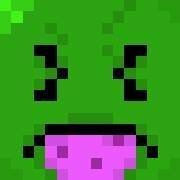 Bound in the Depths Event Update! Long ago there was a fisherman named Stuarth who lived in Redwater Village. One day, when Stuarth was on a fishing trip in Morhollow Marsh, he hooked the biggest fish he had ever seen. As Stuarth tried to catch this massive fish, it overpowered and attacked him, taking him into the water. The fish pulled him down down down and Stuarth thought his end was near. That was until he saw a mysterious light in the distance. The fish seemed to swim towards the light, and when it was close, it let go of Stuarth. Stuarth swam to the light and discovered it was bright glowing goblet. Upon touching the goblet, he was instantly teleported to a mysterious land and was cursed. Stuarth was forever to stay in the mysterious land, as was his curse. He was forever, Bound in the Depths. To this day, he awaits his demise from a worthy adventurer, which is the only way for him to obtain his freedom. 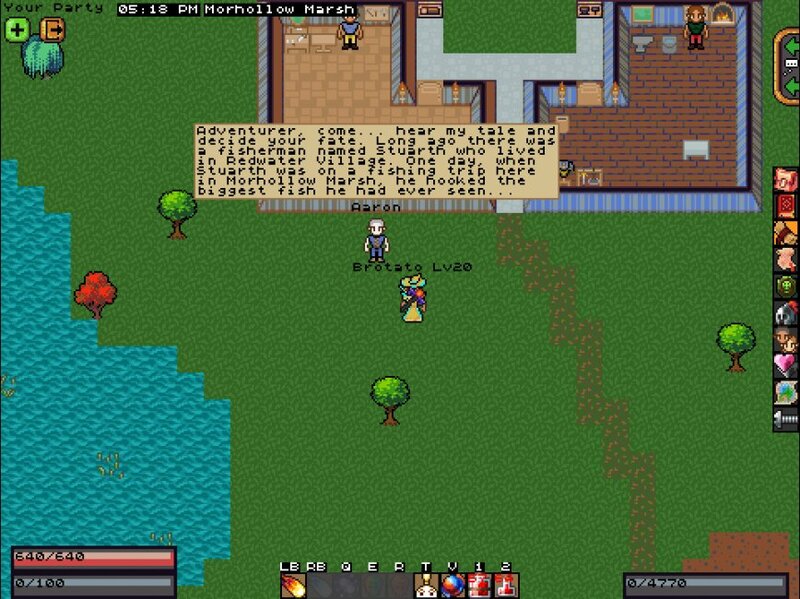 For a limited time, players can attempt to save Stuarth from his curse by finding and entering the mysterious new whirlpool in Morhollow Marsh. Careful though, the new lands are filled with monsters and worst of all, a cursed Stuarth also known as the Sunken Torturer. Should Stuarth's curse be lifted, great rewards are in store for the adventurers who performed this heoric act. While participating in this event, adventurers can also collect a new costume and other items from Louis in the Sunken Depths. Louis was an adventurer who tried to save Stuarth, but failed. He is now trapped with Stuarth until the curse is broken but is willing to help new adventurers by offering his wares.